Who put it so well? I’m not certain if the male model and car salesman from Queanbeyan ever did appear on ‘Skippy’ – but how he could have gone from starring in one of the most stylishly exciting films of the 1960s to being available for work with a stuffed animal is a strange and lamentable story indeed. The saga in brief: In 1967, while filming ‘You Only Live Twice’, Sean Connery, veteran of the four previous James Bond films, announces he’s had enough of the role. The search for a new James Bond is on. Hundreds are tested. One is picked, 28-year-old Australian, George Lazenby, who freely admits to the film’s director that he is not an actor, his only film experience having been in TV commercials. Nevertheless, George is cast in the lead role for the next James Bond extravaganza, ‘On Her Majesty’s Secret Service’. Filming starts. The young trier from Queanbeyan gives a good account of himself, gaining respect of both cast and crew. The world’s press, however, seize upon the easiest way of selling their next editions: trash the new pretender to the Bond throne, run headlines of inter-star feuding and controversy on-set. 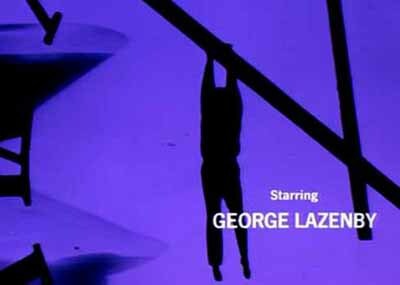 Thus the story goes out worldwide, a media assault on George Lazenby ensues, through which he presses on. His manager announces, however, even before the end of filming, that Lazenby will be doing no further Bond films. What opened in cinemas at the very end of 1969 was, for a James Bond film, an absolute beauty, regarded by fans today as one of the very best of the Bond series. And no wonder. ‘On Her Majesty’s Secret Service’ has it all: stunning soundtrack, stunning locations, stunning action, all underpinned by a plot more realistic than preceding Bond films for its being very close to the Ian Fleming book on which it was based. Hence the film had no need to rely on the ‘gadgets’ that had become trademark of the Bond series to date. Instead, it relied on magnificent filmic atmosphere, gripping plot, and gritty action sequences. When the film premiered in late ‘69, it was well received by audiences and critics, and set its share of box office records. Indeed, it made a fortune for its producers and distributors – though not quite as quickly as it might have. One of these industry moguls, interviewed just a few years back, admitted: ‘We had t’blame somebody, so we fired the star… Doesn’t make us right…’. Despite whatever controversies surrounded it, ‘On Her Majesty’s Secret Service’ remains forever, in my opinion, a shining icon of the end of the 60s: there’s just so much about it that is irresistible to appreciators of ’60s style and aesthetics. Take its magnificent soundtrack by John Barry for a start (available on CD including all background music, it gets me, personally, into a Mod sorta alpin voodoo rage every time I play it. ): the title theme to ‘OHMSS’ is unique amongst James Bond themes for being lyric-less. And what a theme it is! An unacknowledged musical classic of the 60s. It grips you, throttles you from its very opening bars, then leads you down, down, down through that ominously descending chord progression on some sort of gutsy electro-harpsichord underpinned by an even gutsier bass guitar run. Played then by Barry’s signature trombone section, the song’s melody line is pure tension, the listener drawn on through a soundscape verging on the hypnotic, all the time being slashed-at – as if physically – by massed strings (oh, did I mention I quite like this piece of music?). In my opinion, it is, in its own way, up there with the immortal ‘Goldfinger’. This wonderful music is, of course, the aural accompaniment to the film’s opening title sequence. Over the course of the five Bond films preceding ‘OHMSS’, such sequences had become another trademark of the series. Well, all I can say is, the opening title sequence to ‘OHMSS’ is an example of 60s graphic art at its very best. It’s pure psychedelia, a montage of dreamlike silhouettes and colours, various symbols relevant to the film’s plot, almost Hitchcockian in tone. Aside from scrolling stills of the previous Bond films, the key images in this montage are symbols of ‘time running out’: a man grasping bodily to the arm of a giant clock, also a running hour glass, which, in the unmistakable shape of a martini glass, would seem to symbolize ‘time running out for James Bond’ (iconic martini consumer), the suggestion confirmed as the symbol morphs into Bond’s personal ‘coat-of-arms’. Though these symbols have their own specific relevance to the film’s plot, I always felt further resonances in them: time running out for the James Bond phenomenon? Fittingly, ‘All the Time in the World’, the Louis Armstrong song featured within the film, happened to be Armstrong’s final recording before passing to the great jazz club in the sky. In any case, I always felt a peculiar sadness in the imagery of the film’s title sequence, and in the film generally, a sense of time running out for the 60s. But stop crying, Justin. Visually, the film is a gem, particularly in its alpine sequences on and around a peak called the Schilthorn above the village of Mürren in Switzerland. Dynamic aerial photography of all of it makes for some truly breathtaking cinema, the atmosphere only enhanced by luscious background music. Did someone say Action Sequences? With both airborne and hand-held camera work, the skiing sequences of ‘OHMSS’ are, in my opinion, the most stylish, the most exciting action sequences of the whole James Bond series. And if there is a more thrilling, a more satisfying ‘action movie’ moment than the helicopter assault on Piz Gloria, please let me know what it is. Okay, so Connery beat Lazenby as an actor (no contest given Lazenby’s lack of experience), but he didn’t beat him in terms of physicality. As a physical actor, Lazenby is a natural to play Bond. At the climax of the film, the semi-crouch stance he strikes when firing his Sterling sub-machine gun at a fleeing Blofeld, the frenetic music accompanying these frames, it’s a perfect moment. For me, it is perhaps the single best moment of all the Bond films (alright, alright, maybe with the exception of the ‘I expect you to die’ scene in ‘Goldfinger’). 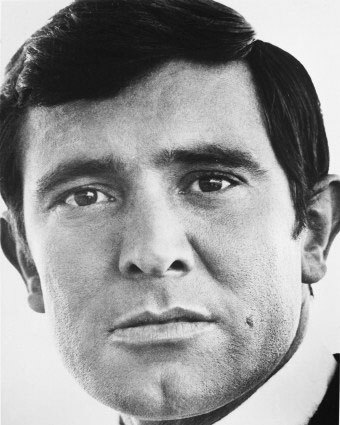 Despite his inexperience as an actor, it’s little wonder George Lazenby was physically ideal for the role: a web search of Lazenby’s bio reveals that he was, in the early sixties, an Australian Army unarmed combat instructor, a sergeant no less, also that he is the only James Bond actor ever to have won awards for skiing in real life. Indeed, movie legend has it that the ‘clincher’ for Lazenby landing the part of Bond was that, while ‘stage’ punching a Russian wrestler for a camera test, he accidentally broke the man’s nose. Evidently the producers gave George the role on the spot. 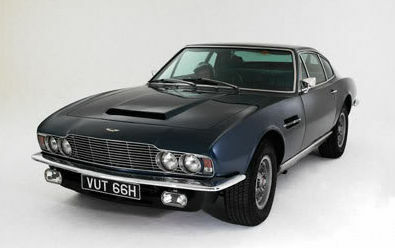 ‘On Her Majesty’s Secret Service’ is a showcase for 60s style: Bond’s 1969 Aston Martin DBS is my favourite of all the bond cars. Unlike the slightly archaic-looking DB5 of ‘Goldfinger’ (1964), the DBS has that ‘ultra-modern’ look about it, similar visually to the Jensen Interceptor, double headlights left and right (oh, for that age when a car could be christened an ‘Interceptor’). 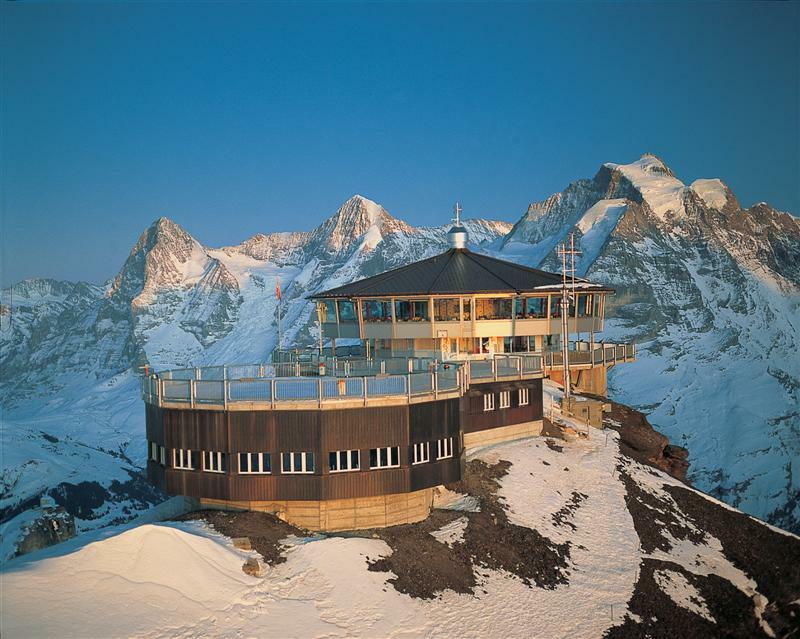 The interior design of Blofeld’s mountain HQ up on Piz Gloria is another example of ’60s Modern, an aesthetic happily now very much back in fashion. Evidently the place has been open to the public ever since – I haven’t been to Switzerland yet, but when I do, take one guess the first place I’m going… Until then, next time you see some idiot in ’60s ski gear tearing down Thredbo’s High Noon while humming the ‘OHMSS’ theme, yep, that’s me (I apologise in advance). 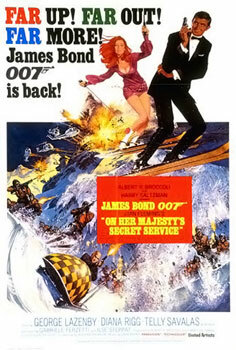 As a film, ‘On Her Majesty’s Secret Service’ is certainly no masterpiece. I would, however, call it a flawed masterpiece. Indeed it contains flaws, for example, a few lines of dialogue from Lazenby that simply have no place in the film: at one point he makes a throw-away comment in a broad Australian accent. Another time, after winning a fist-fight in a hotel room, he exits the room, stealing a morsel of caviar on his way out: “Hmm, Royal Beluga – north of the Caspian…”. Why?! To inform the audience that Bond really is a jet-setting sophisticate after all?! Any great movie, just as with any great piece of literature (unlike this one), is the end result of the most exhaustive and diligent process of cutting down. This is what the makers of ‘OHMSS’ should have delivered, and failed to. It wasn’t Lazenby’s responsibility to get the whole thing sitting just right; he was a newcomer, he lacked the experience, and even if he’d had the experience, he was only the main actor in the film, not the crafter of the film. In a nutshell, he was let down by a few seasoned professionals around him who knew better. And he got the blame for it. With a few careful cuts (these goofy bits of dialogue for example), the film would have been much stronger (I took a few minutes testing this theory out on my DVD player, editing out a couple of frames here and there, and it worked). I don’t think I’ll ever get over ‘On Her Majesty’s Secret Service’, or George Lazenby’s presence in it: I can’t quite put my finger on it… At times he seems wrong for the role. At other times, so right. For a few glorious moments there, he IS James Bond.